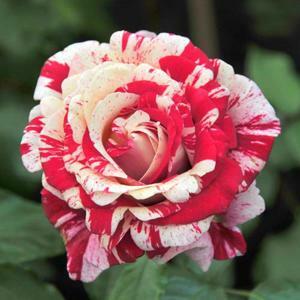 Showy double flowers of creamy white flecked and striped with pink and red. Fragrant and repeat flowering. From cuttings or by grafting.